This strategy object is part of the Learning Strategies Launch Centre and introduces 5 language learning strategies through a playful and engaging exercise. The scenario takes place in a school and examines three learning situations that may cause stress and anxiety for some students. A fire chief (Dalmatian) guides the user through this object and enlists the user to assist him in monitoring emotional temperatures and suggesting five strategies for bringing emotional temperature under control to enhance learning. 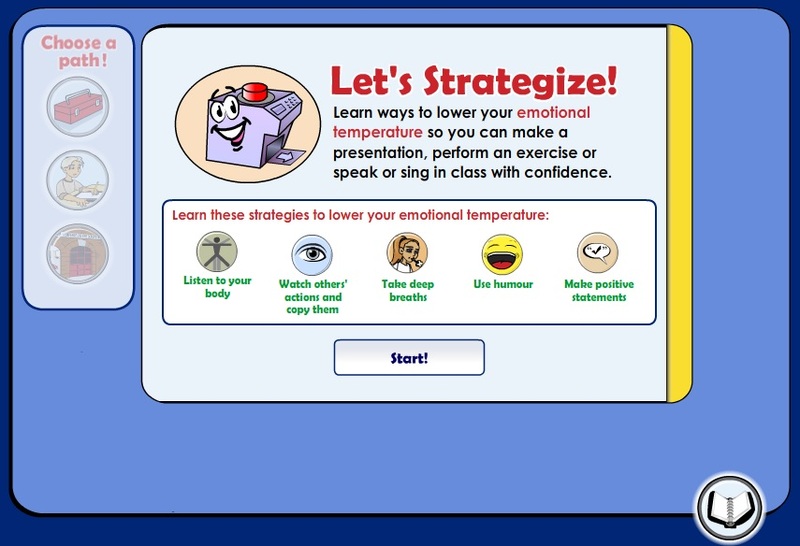 The fire chief gives the user instructions about the role the user has to play and explains the basic concepts of using strategies to control emotional temperature. The fire chief also brings attention to physical symptoms of stress for recognition by the user.